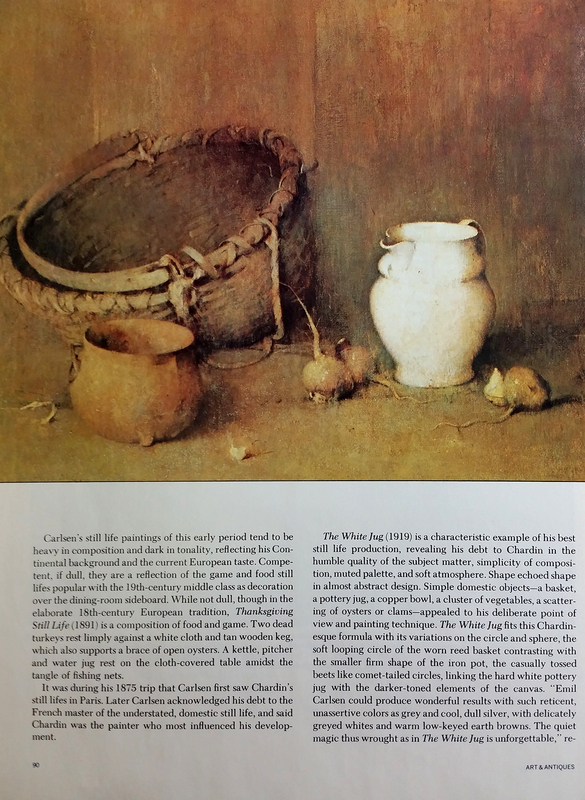 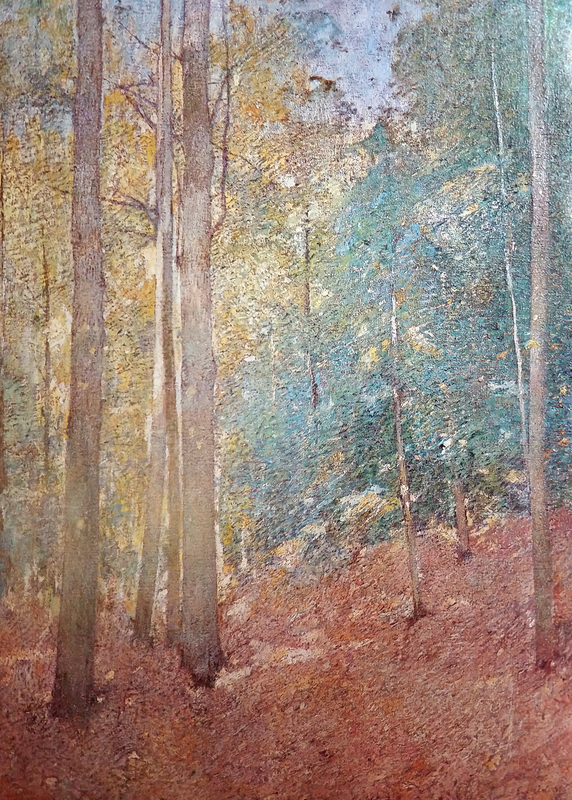 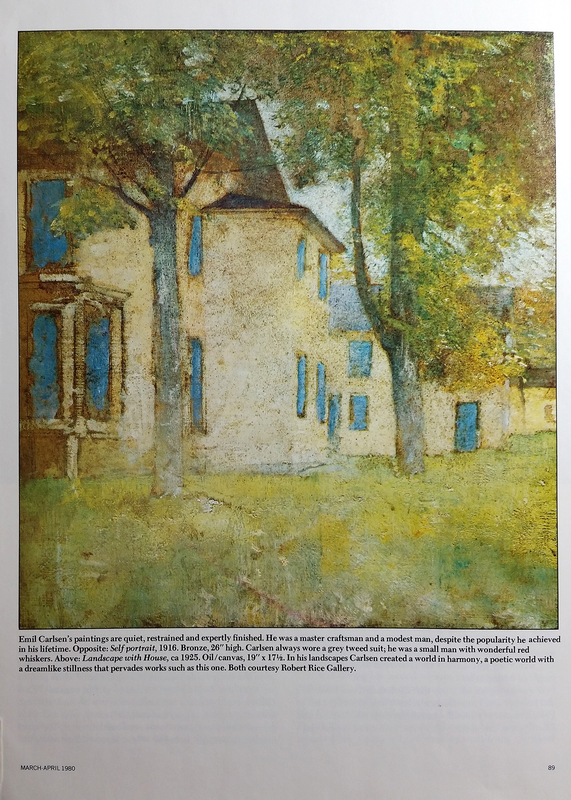 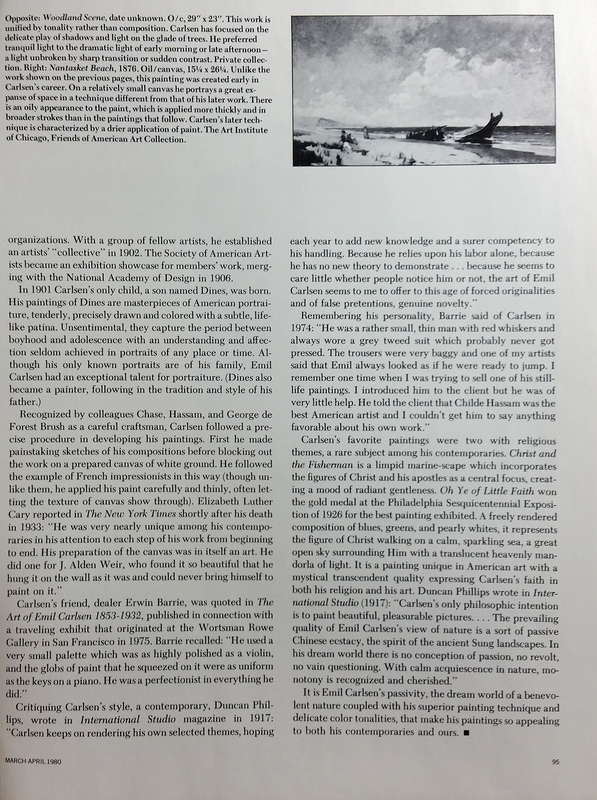 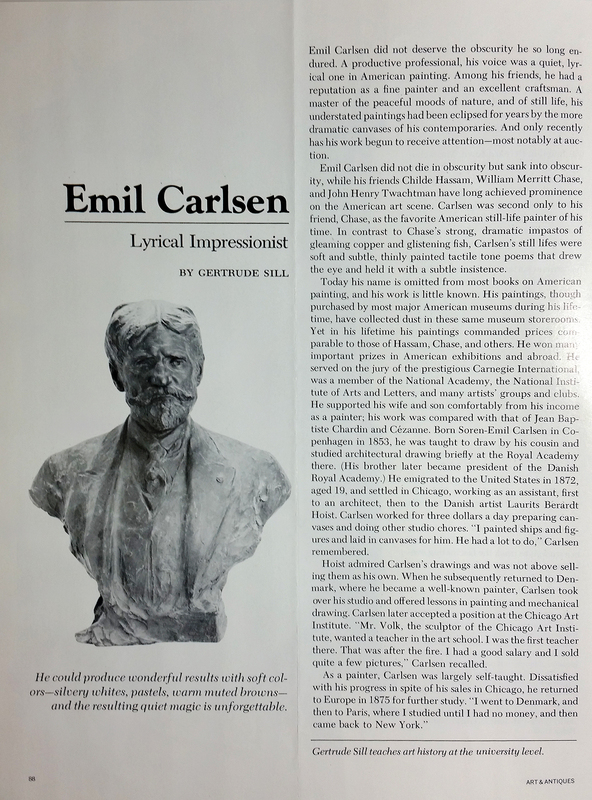 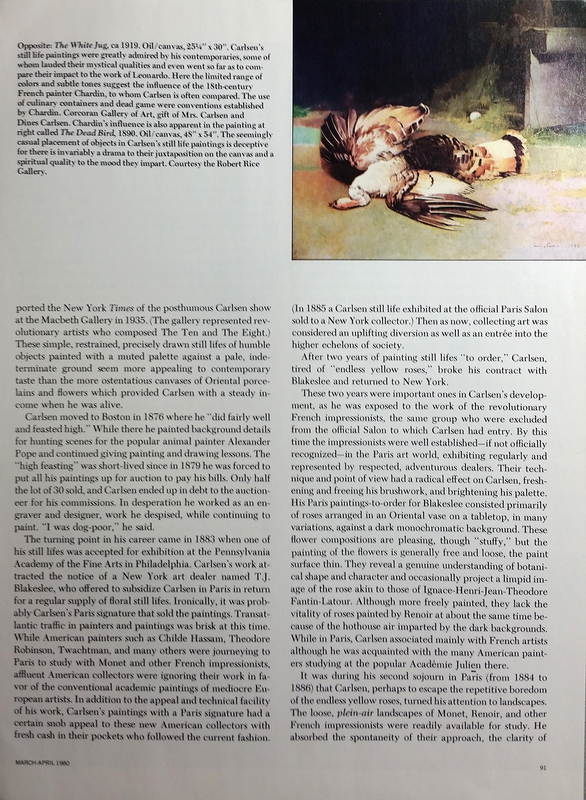 Art & Antiques, "Emil Carlsen: Lyrical Impressionist" by Gertrude Sill, March-April, 1980, pg. 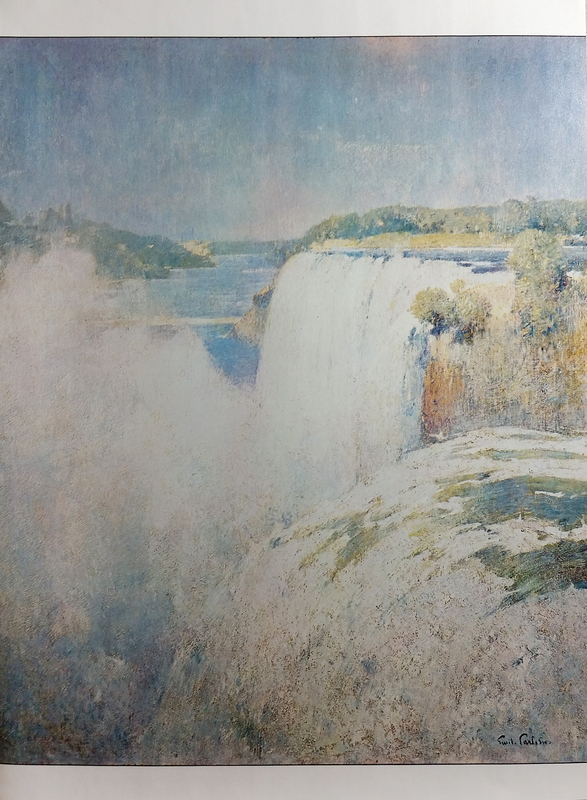 88-95, illustrated: color. 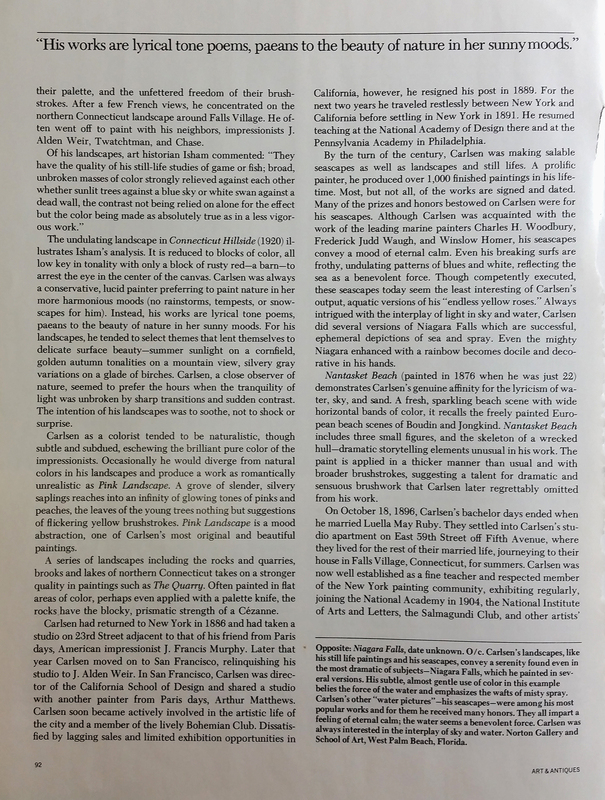 All articles are copyright of the owners.